ST. GEORGE – Police swarmed a St. George motel Sunday evening to back up a fellow officer responding to a 911 hangup when a woman allegedly pulled a knife on him. Police subsequently deployed a TASER on the woman and took her into custody. Police responded to the Sands Motel located at 581 E. St. George Boulevard on a report of a 911 hang up where screaming could be heard in the background, according to a probable cause statement filed by the St. George Police Department in support of the arrest. When the first arriving officer got to the top of the motel stairs, he saw the door of a motel room open with a man standing inside the door trying to talk to a woman who was standing across the room in between two beds. The officer asked the man to step out of the room so he could talk to the woman, identified as Christine Taylor Forsberg, to get a better understanding of what was going on. Forsberg then leaned over the bed and pulled a large knife from under the bedding and raised the knife above her head, the report stated. The officer unholstered his handgun and pointed it at Forsberg while telling her to drop the knife. Instead of dropping the knife, Forsberg screamed at the officer to shoot her, according to the statement. When the officer grabbed his TASER from its holster, Forsberg grabbed a pillow from the bed to use as a shield, the officer said in the report. Forsberg was still standing between the two beds with the knife in her hand, yelling at the officer to shoot her when back up units arrived. With Forsberg refusing to drop the knife, the officer deployed his TASER, causing Forsberg to fall onto the bed, according to the statement. Officers moved in, secured the knife and took Forsberg into custody. 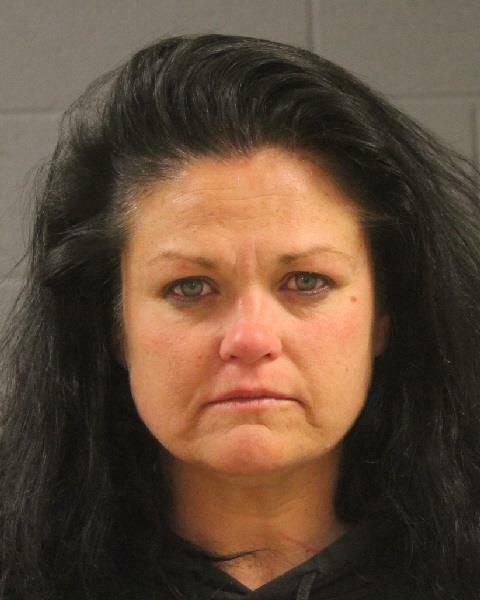 Forsberg was transported to the Washington County Purgatory Correctional Facility where she was booked on a second-degree felony charge of assault on an officer, along with a class B misdemeanor charge of interfering with an arresting officer. Judge G. Michael Westfall, of the 5th District Court, ordered $10,000 bail for Frosberg’s release pending trial. She was found indigent by the court during her initial court appearance Monday and will be represented by court-appointed attorney Ariel Taylor. She is scheduled to make her next court appearance Monday afternoon.